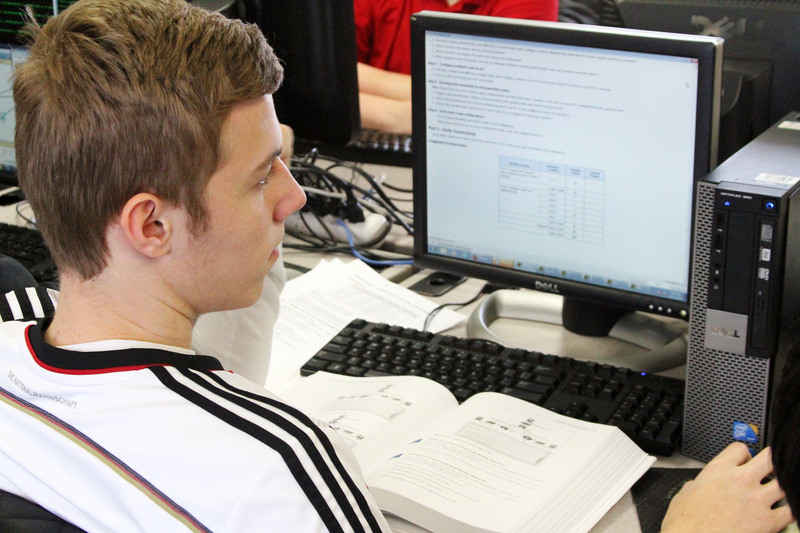 New Braunfels ISD offers Career and Technology Education courses for secondary students who are offered challenging classes in multiple career pathways. Students are actively engaged in activities and projects using critical thinking and problem solving skills. Career and Technology Education prepares students to excel in the planning and development of future career opportunities. NBISD will develop quality instructional partnerships with business and industry to prepare students for post-secondary education and a globally competitive workforce. One of the keys to improving student achievement is providing students with relevant contexts for studying and learning. Career Clusters™ do exactly this by linking school-based learning with the knowledge and skills required for success in the workplace. The National Career Clusters™ Framework is comprised of 16 Career Clusters™ and related Career Pathways to help students of all ages explore different career options and better prepare for college and career. New Braunfels ISD offers access to 11 of the Career Clusters. Each Career Cluster™ represents a distinct grouping of occupations and industries based on the knowledge and skills they require. The 16 Career Clusters™ and related Career Pathways provide an important organizing tool for schools to develop more effective programs of study (POS) and curriculum.